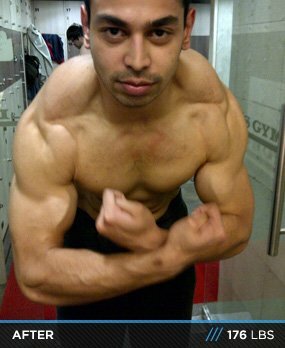 After a challenge from his father, Prateek Yadav began a life-long fitness journey. Learn how this all-natural, vegetarian machine perfected his physique! 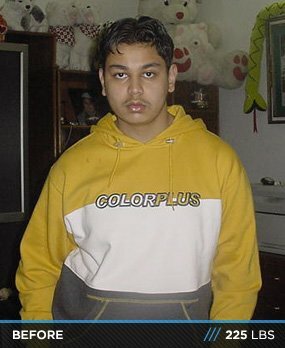 Back in 2003, I weighed 225 pounds and was completely removed from sports or any kind of health activity. People at school used to make fun of my obesity. I wanted to change myself, but never really got motivated. Then finally the day came in September 2003, when my father challenged me to lose ten kilos (22lbs) in two months, which made me join a gym! I lost 15 kgs (33lbs) in 2 months, but that was just the start of a never-ending journey! When I started going to a gym, I was lucky enough to find two more lads exactly my age and exactly my weight that were also in the "Lose 10 Kilograms" program! That kicked in a sense of competition among us, which made the weight loss even easier. At that time, I thought better results meant more exercise. I trained for 3 hours, 6 days per week! My workouts consisted of 1 hour of treadmill/bike, 30 minutes of aerobics and 1.5 hours of weight training! That was a hell of a lot of overtraining, and I obviously had side effects. My aerobic capacity had increased, but my strength completely got killed. Six months passed and I lost 35 kilos. I went underweight! By that time, my goal had changed. I didn't want to be just a slim guy. I wanted to build muscle. I have never had a personal trainer or a coach. Whatever I know about bodybuilding I have learned from Bodybuilding.com. I have made numerous mistakes in the gym in the past, but eventually have always learned from the mistakes. To get stronger, I cut down my cardio to 20 minutes, 5 days per week in the evenings and 45 minutes of weight training in the mornings. I kept that routine pretty much until last year and it produced excellent results. I want to thank Bodybuilding.com for being my support! I have used a variety of supplements during the course of my transformation, but these are the ones that have worked best. I do not eat meat or fish. 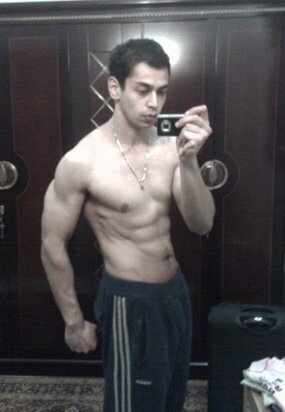 I used to weight train 5 days per week. I did that until last year. But what I have learned recently is that as you progress in lifting weights, your body demands increased rest periods. I used to feel very tired and sleepy all day long when I was training 5 days per week. So, I decided to increase rest and complete my workout cycle in 9 days. My lifts have increased every week since I started resting more. I have been making and breaking more personal records. Cardio: Alternate day HIIT training. Do not rest more than 1 minute between sets. Note: I have a severe knee injury, so, many people would not agree with the routine that I follow for quads. But it has worked for me. My knee feels better and the muscles around my knee are getting much stronger. One year ago, I could not even leg press pounds properly, but as of today I squat 300 pounds absolutely pain free. Don't let anybody tell you that you can't achieve what you want. All you need to do is visualize what you want to look like, find your idol, and make your goal to look like that! Every morning when you wake up, tell yourself that you desperately want to reach your goal. You will not take anything less than that! Start making your way. Remember, first few days are always the most challenging! And as you pass these days, your goal appears more realistic. Believe me, you will reach there! In my country, the sport of natural bodybuilding does not exist. Bodybuilding competitions here are always drug-based. 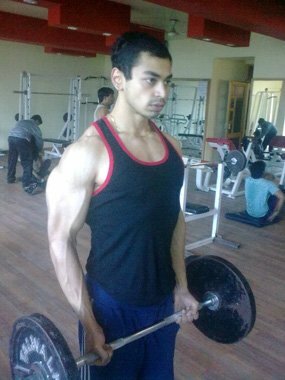 With the knowledge and the products that I have received from Bodybuilding.com, I am in such good, natural shape that I make my own mark in my gym and in my city. Apart from all this, I want to take this opportunity to thank my biggest inspiration - Chad Shaw (bodyspace: thenaturalone). In the last few years, I have had a lot of issues concerning my knee. I had days when I would think that I could no longer run or do any leg exercise, which made me extremely depressed. But by just looking at Chad and taking his advice, I have done wonders with my knee and my lifting abilities. A big thanks to you Chad!